I got into the habit of using a planner in Junior High when we got one for free, and I've kept one every year since then. I usually buy them to correspond with the school year, but this time I decided to go for a new one in January. 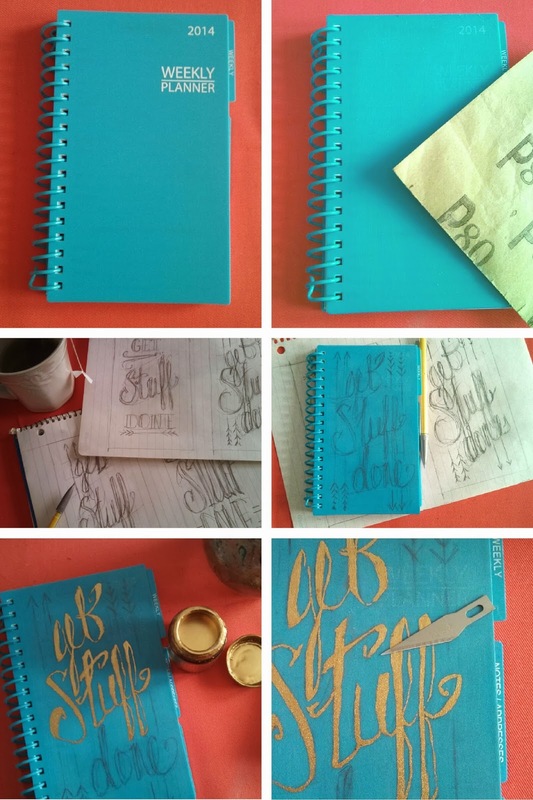 While I was shopping around I stumbled upon Ninj and Ninj on Etsy, and fell head over heals for their cheeky planners (especially this one and this one), but I needed something a bit more work-friendly, and a bit less expensive. So I decided to try to make my own. I started with my favorite kind of planner, a (plastic) spiral bound one with a plastic cover. I found mine at Dollar General this time, but I've also found them at Wal-Mart. I used P80 sand paper to take off the writing on the front, and to prep the surface for painting. The planner already had a rough texture, so the scratches left by the sanding weren't that noticeable. Then I sat down and sketched out a bunch of ideas for the cover. When I got one I was happy with, I redrew it onto the cover (though I could have used carbon paper to transfer it). 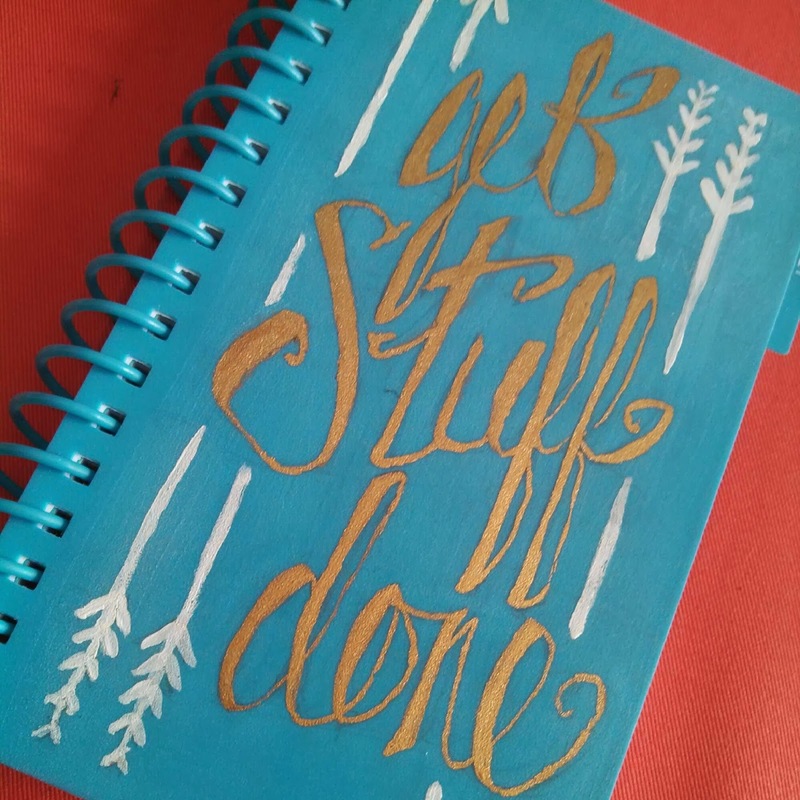 I used gold leaf paint to fill in the letters with gold, trying not to make mistakes, and failing, of course. But any mess ups could be erased with a sharp exacto blade. I used acrylics next, repeating the same process as the gold leaf. 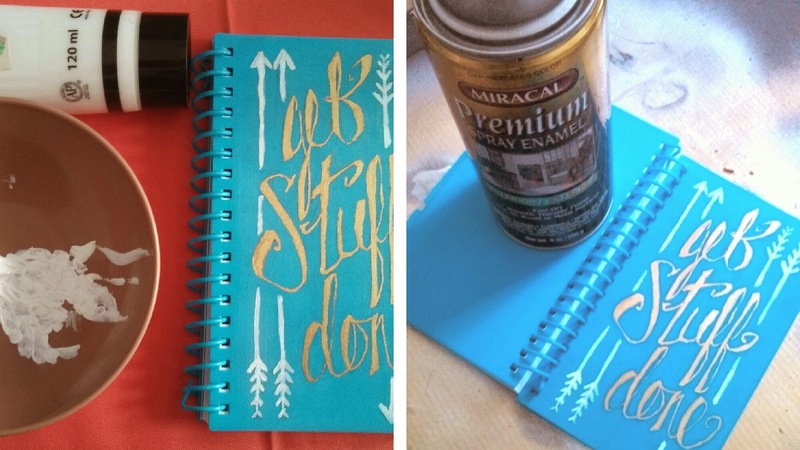 After letting the planner sit for a few days, I used spray enamel to seal everything. I think I put on about 5 coats, because I was really worried about how the paint would hold up after I tossed it into my bag. It's been a month now, though, and the writing still hasn't scratched off, so I'd call this a win!